This is for the Less Is More challenge (#159 - masculine), CAS on Sunday (#27 - masculine), and the CAS[E] this sketch! (#64 - sketch by N@ Ali). I just bought some cork sheets and wanted to give them a try. They have an adhesive backing which makes them really easy to use. I went with a graphic design today, creating a rectangular panel that has one side (exactly half) with a piece of cork. I die-cut the leaf and then glued the stem on the right edge of the cork. Since the panel was fairly large, I went with a small sentiment to balance it out. Easy and quick card to make. 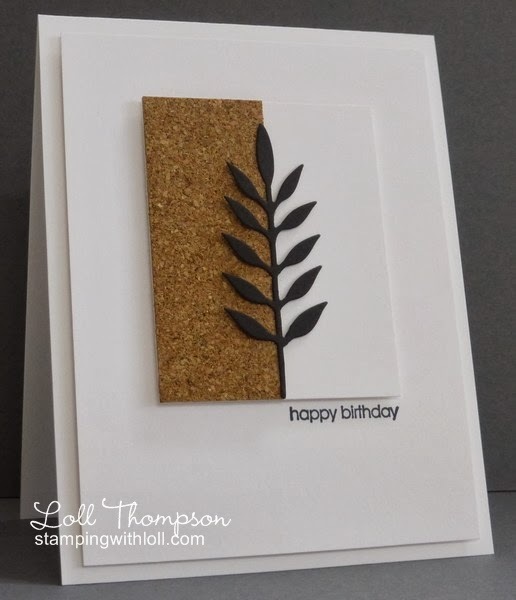 Labels: birthday, CAS, cork, masculine, poppy stamps, Stampin' Up! Very creative to use the cork sheets, Loll. I really like this masculine creation. Oh I am loving this graphic simple beauty, Loll! CAS at its finest! Beautiful and very trendy ...love the cork! So awesome! This is just fabulous!! I love clean and simple cards - so elegant and well done. Black and brown together look so good! Beautiful Loll. Love the simplicity and line of it. Oh, wow! Sensational card. Wish I had that die so I could make a card just like yours right this minute. Hmmm...I'll have to come up with something else. Love to look at all of your creations! Every one is wonderful. 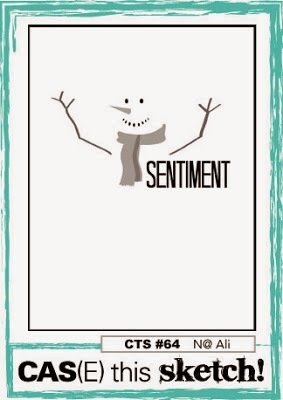 Great idea for a masculine card! Love the texture the cork gives. Wow, this is so stylish Loll. Perfect for that difficult man! This is absolutely stunning, such an elegant card. I love the cork texture - another supply to hunt for!!!! WOW, wow, wow, Loll!! I LOVE this!!! Absolute stunning!!! THIS IS BEAUTIFUL! Perfect! So perfectly CAS! Love it! Oh My!!! This is stunning Loll, completely stunning. The cork and the white split with the gorgeous shaped leaf, perfect. You are my favorite CAS card creator. What an awesome design Loll! love the black over the split cork/white - LOVE it! What a fabulous masculine card this is! The meadow leaf die cut is perfect with your design, and I love muted color palette! How striking and effective! Perfect CAS masculine creation. Love the graphic design of this card, Loll! Great male card.